Click on links below to print Study Guides. The Indiana History book introduces students to the rich history of the Hoosier state. During Unit 1, fourth graders learn about Indiana's geography and people. Unit 2 introduces students to the Native Americans of Indiana. 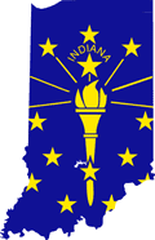 We move on to learning how Indiana became a state in Unit 3. The Civil War, Underground Railroad, and slavery are covered in Unit 4. Modern wars and how Indiana was involved in these wars are the focus of Unit 5. Finally, students learn about "Indiana Today" our economy and government in Unit 6. 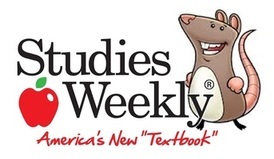 Click on links below to view Unit Study Guides. Click on link below to print homework. Click link below to play vocabulary games and take quizzes. Click on link to visit website. Click on link above. Franklin Township Blendspace Resources.